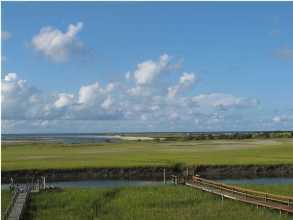 Seabrook Island is located directly south of Kiawah Island and about 45 minutes south of the Charleston Peninsula. Seabrook is one of the few private island resorts in the area and boasts one of only two true equestrian communities in tri-county Charleston. 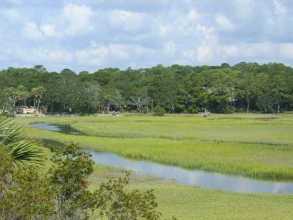 This gated island is known for its golf, tennis, wildlife, and some of South Carolina's most private beaches. Seabrook Island is ideal for home buyers looking for great amenities, an unspoiled beachfront, and seclusion from the city. 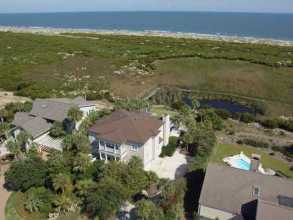 Are you looking for specific features in a Seabrook Island home? Customize your search to view only the homes that match all of your criteria! Options include square footage, year built, master bedroom upstairs/downstairs, and more! This 2200-acre island has more than three miles of beach, marshes, and maritime forest. There are no hotels or high-rise condominiums. Seabrook real estate also offers two championship golf courses, professional tennis facilities, an equestrian center with horse trails on and around the beach, a full service marina with a restaurant and shops, summer camps for the kids, nature tours, and inshore and offshore fishing. One of the most luxurious areas to be found in Charleston County is Seabrook Island: a community that is built to its own standards of privacy, opulence and harmony with nature. This location is one for the discerning homebuyer who is interested in a full-service resort community with the amenities that come with it. Located twenty-three miles south of downtown Charleston, Seabrook Island is tucked among the winding inlets and countless acres of marsh grass that separate rural Charleston from the Atlantic Ocean. This oceanfront location gives Seabrook Island a moderate climate that is unparalleled: Lowcountry summers are cooled by the perpetual sea breeze, while winters temperatures are moderated by warm ocean currents. Like much of Charleston, Seabrook Island was originally inhabited by Native Americans, but was first discovered by English settlers in the seventeenth century. Since that time, the island has become a small and exclusive community in the greater Charleston County. 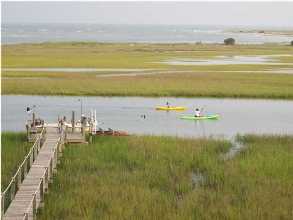 Seabrook Island is a favorite for retirees and those looking for a lavish second home in a private neighborhood. Average home sizes are typically larger than other homes in the Charleston area and are, likewise, more expensive. Home prices in Seabrook Island range from the low $110s upward into the millions of dollars for beachfront homes and properties. The private beaches of Seabrook are some of the most breathtaking to be found in South Carolina. The two main beaches are North Beach and Pelican Beach. Pelican Beach is conveniently adjacent to the island's beach club facilities, while secluded North Beach shorelines and sand dunes are breathtaking to visitors and longterm residents alike. Along with its beaches, Seabrook Island also offers tennis, horseback riding, a fitness center, a deep-water marina, as well as two championship golf courses. Such amenities allow for Seabrook Island to cater to and focus on the specialized activities and interests of its residents like no other area in Charleston County. Finally, set against this backdrop of 2,200 acres of wind-whipped sawgrass, maritime forests and rolling sand dunes lie Seabrook Islands' two nationally recognized golf courses: Crooked Oaks and Ocean Winds. As these courses are not open to the public, inconvenient tee-times and standing lines are virtually a thing of the past while golfers are free to enjoy the rugged beauty of South Carolina's first Fully Certified Audubon Cooperative Sanctuary.